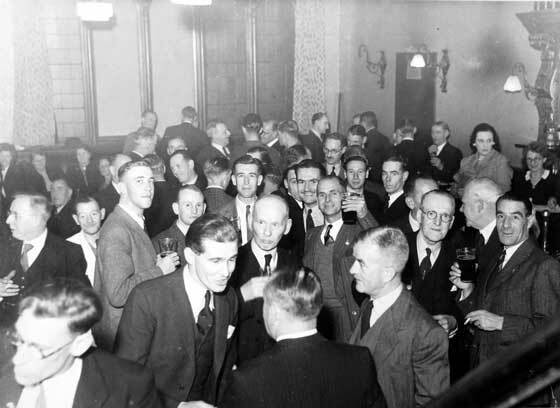 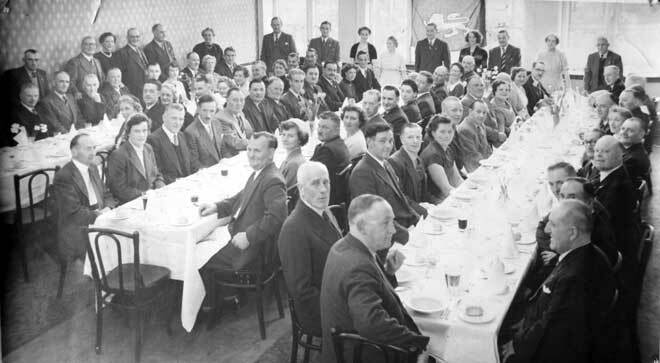 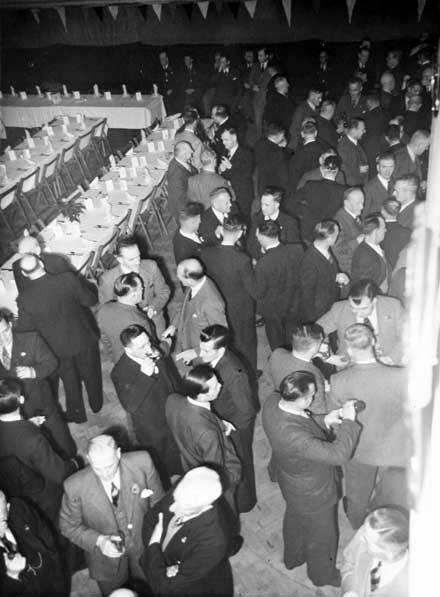 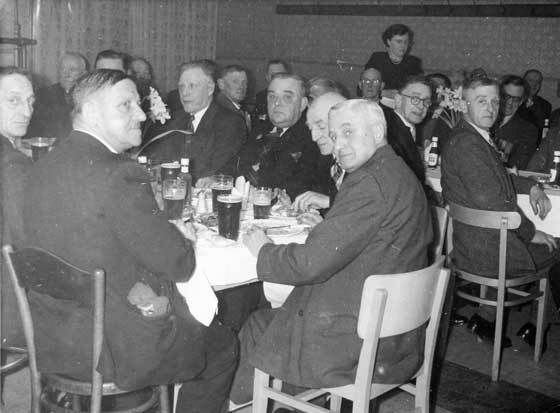 Annual Reunion Dinner of the 5th Battalion, King's Own Royal Regiment, 1952. 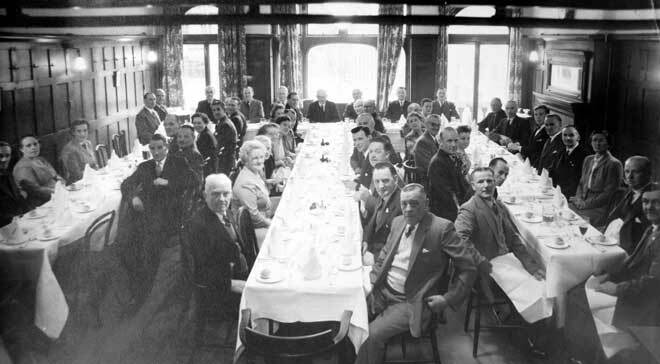 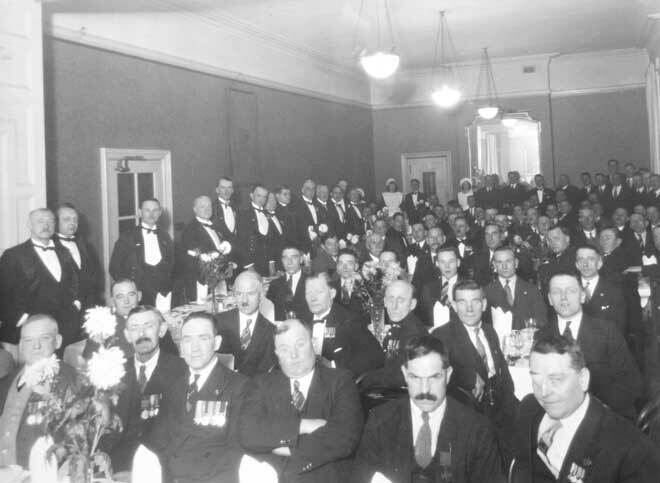 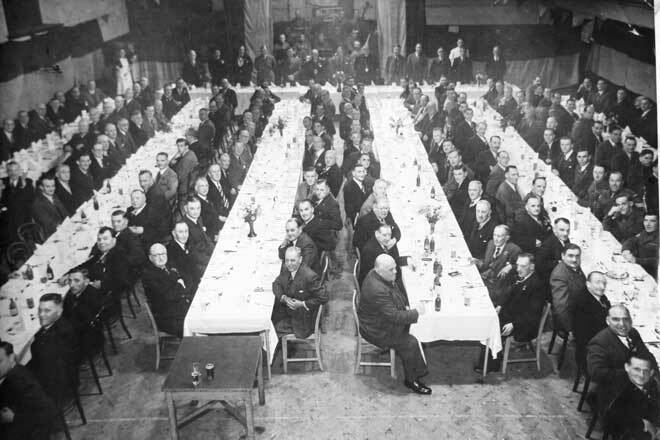 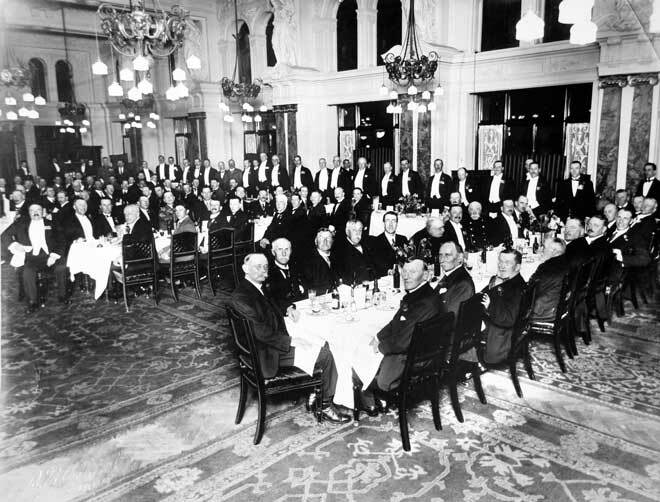 King's Own Royal Regiment Old Comrades Association Dinner April 1927 in London. 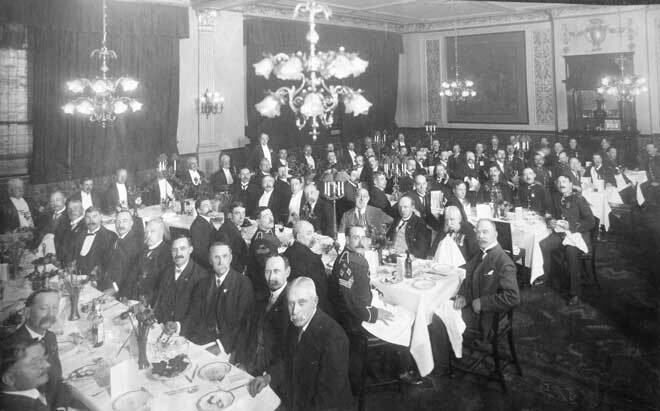 King's Own Royal Regiment Old Comrades Dinner in the Royal King’s Arms, Lancaster, 1921. 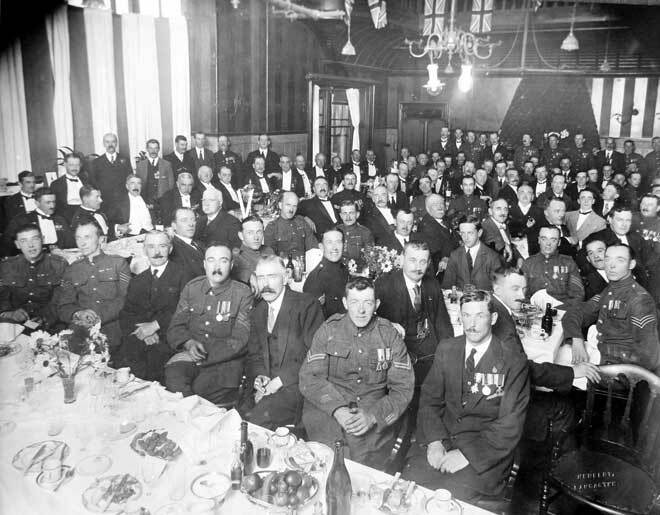 Lance Sergeant Tom Fletcher Mayson, VC, of the 1st/4th Battalion, King's Own Royal Lancaster Regiment can be seen seated near to the camera. 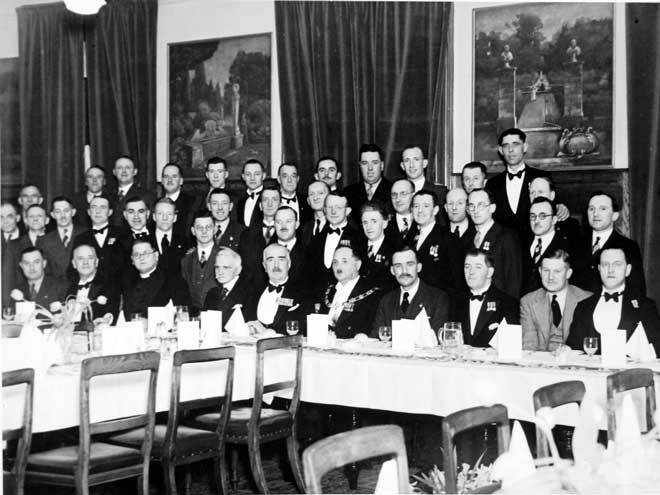 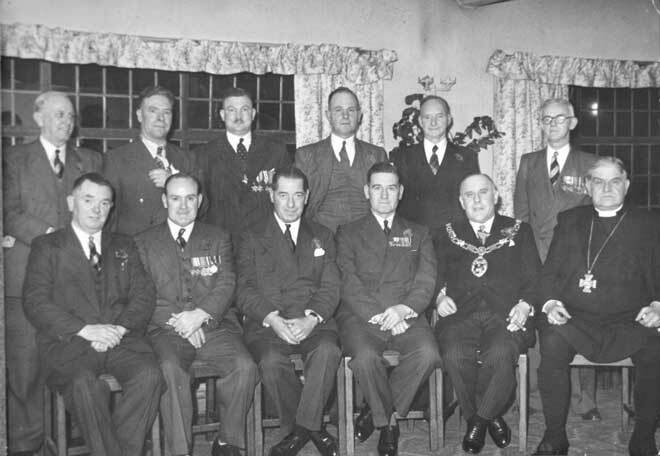 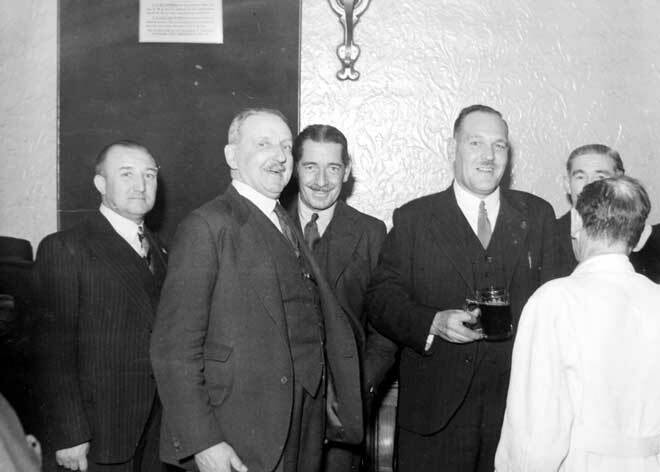 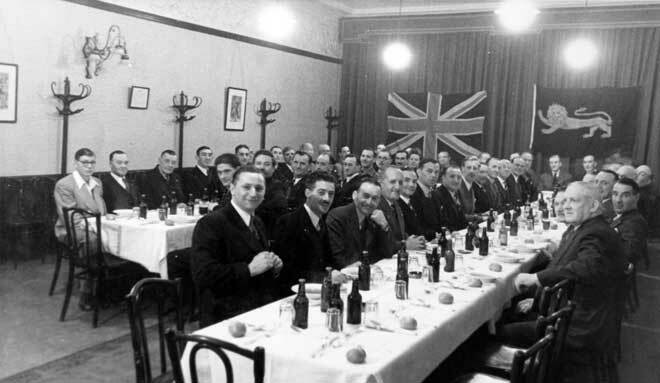 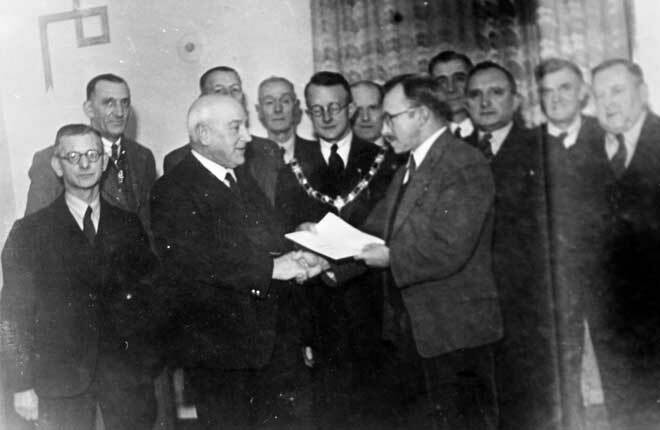 King's Own Royal Regiment Old Comrades Association Dinner in Lancaster, December 1930. 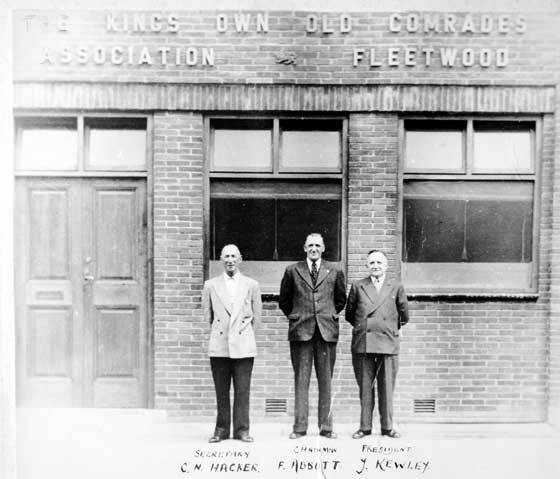 Officers of the Fleetwood Branch Old Comrades Association, King's Own Royal Regiment. 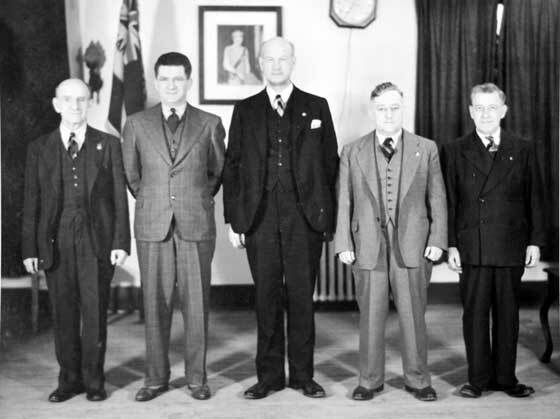 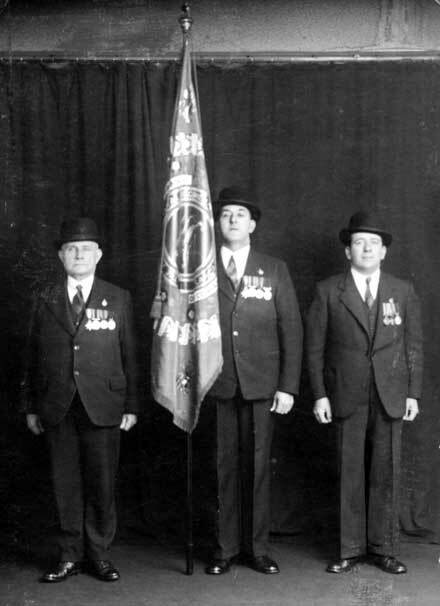 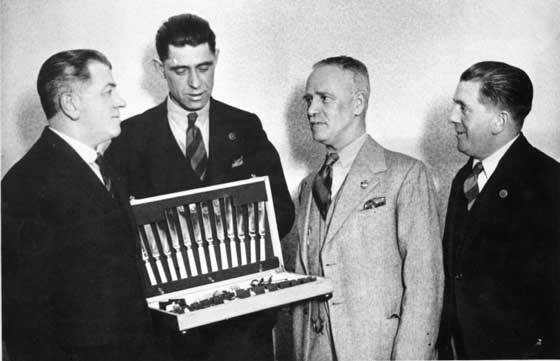 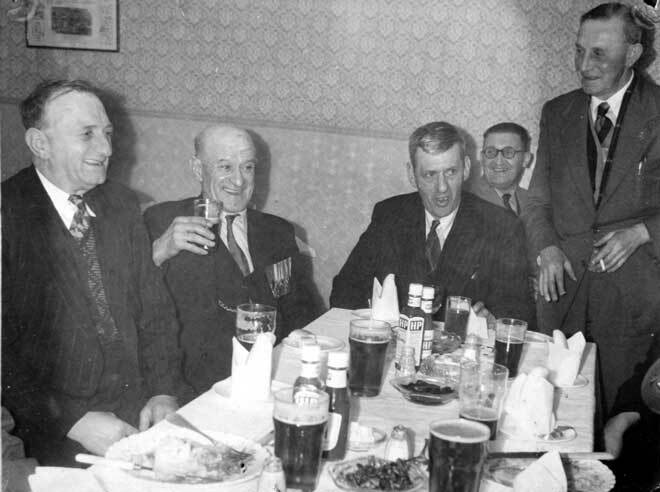 Left to right: :C N Hacker, Secretary; F Abbot, Chairman and J Kewley, President. 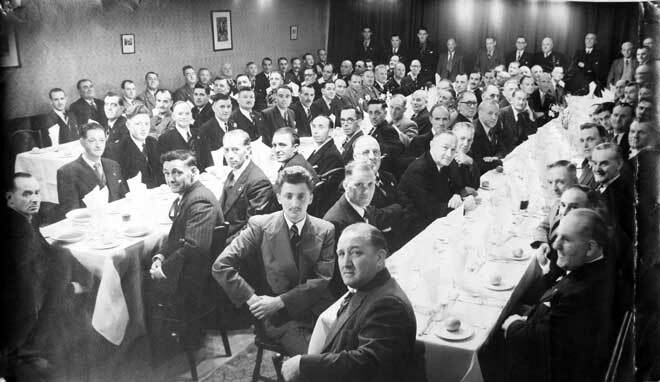 King’s Own Royal Regiment, Old Comrades Association, Dinner London, 1950s. 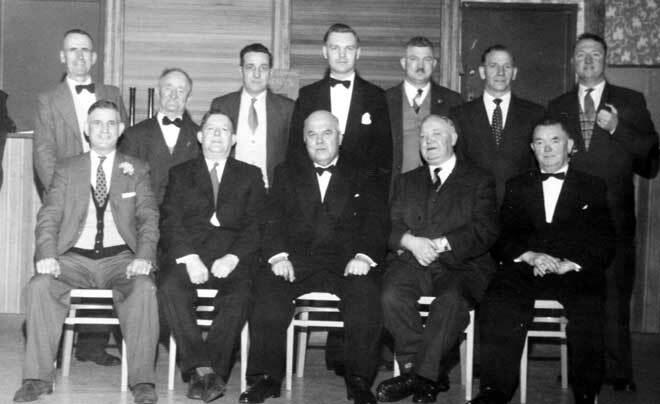 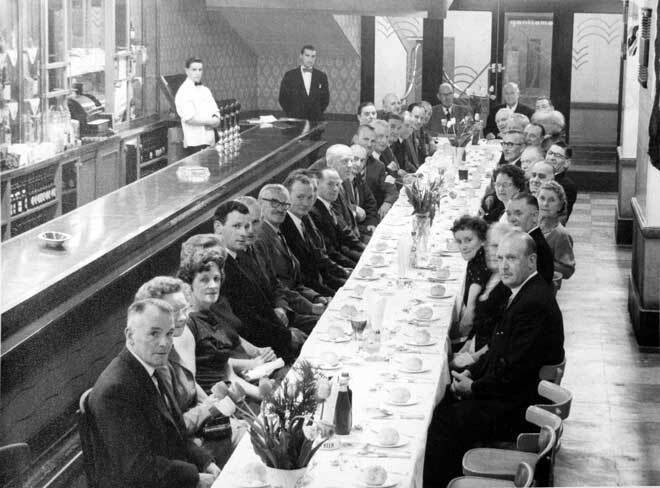 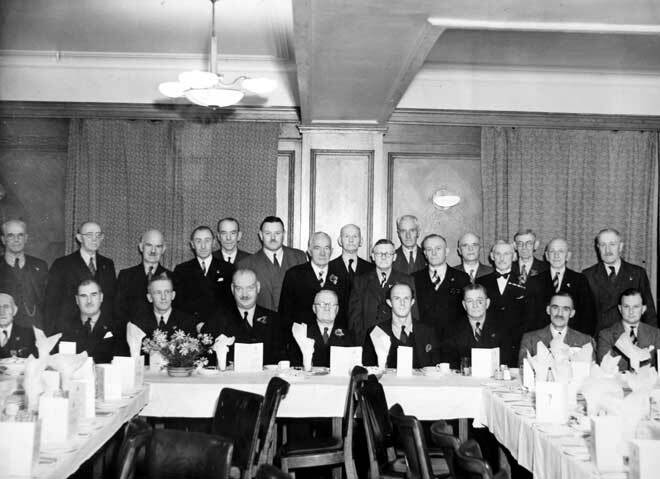 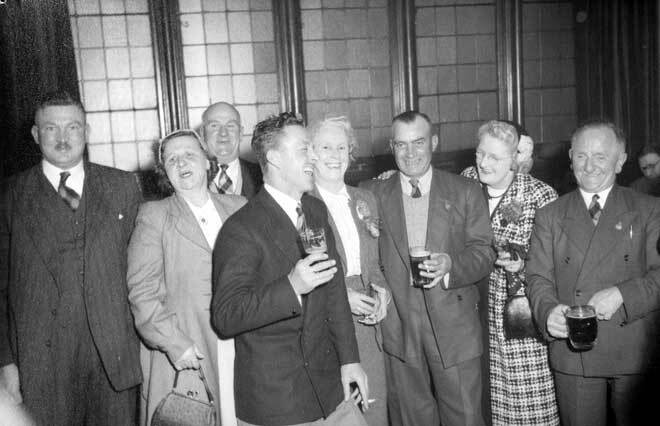 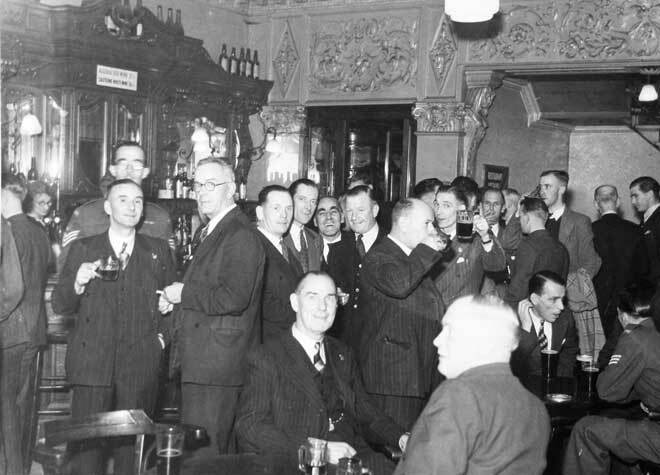 King's Own Royal Regiment, Old Comrades Association, Dinner Manchester Branch, 1957. 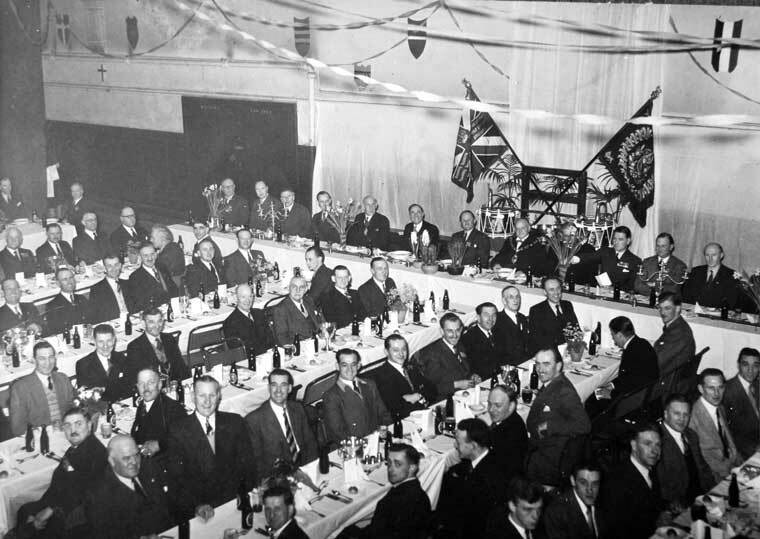 King's Own Royal Regiment, Old Comrades Association, 40th Anniversary Dinner of the 1st/4th Battalion, King’s Own Royal Lancaster Regiment going overseas in May 1915 the First World War, 1955. 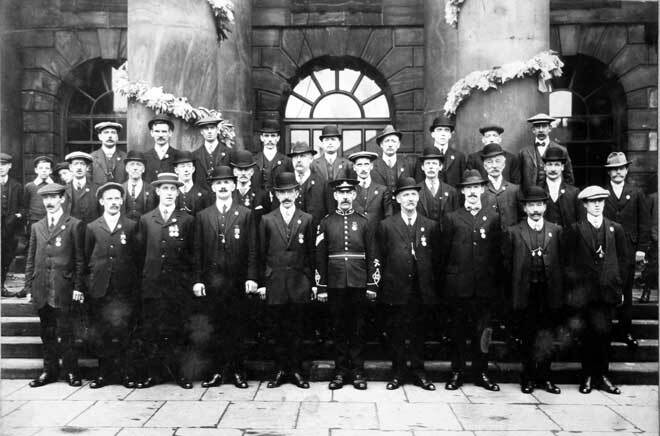 Held in Barrow-in-Furness. 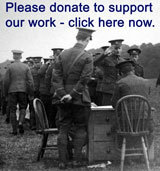 Including H Reid, Sergeant Tom Fletcher Mayson VC and G Thompson and I Thompson. 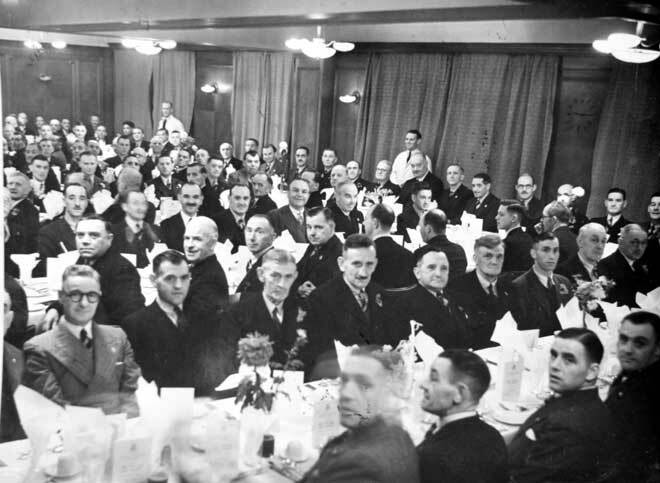 King's Own Royal Regiment, Old Comrades Association, 40th Anniversary Dinner of the 1st/4th Battalion, King’s Own Royal Lancaster Regiment going overseas in May 1915 the First World War, 1955. 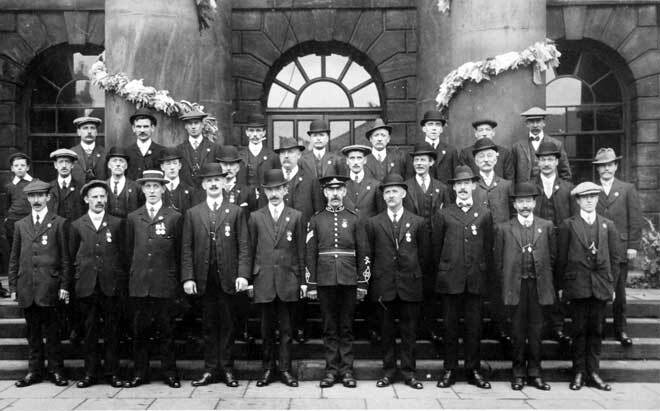 Held in Barrow-in-Furness. 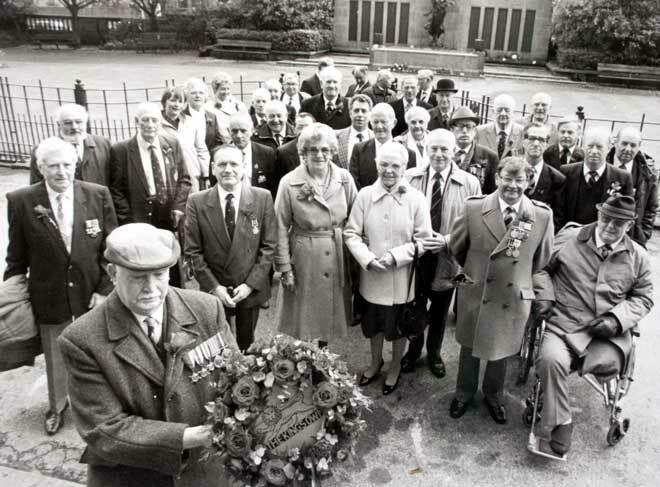 King's Own Royal Regiment, Old Comrades Association Preston Branch, Dedication of new Branch Standard 1949, Fulwood Barracks, Preston. 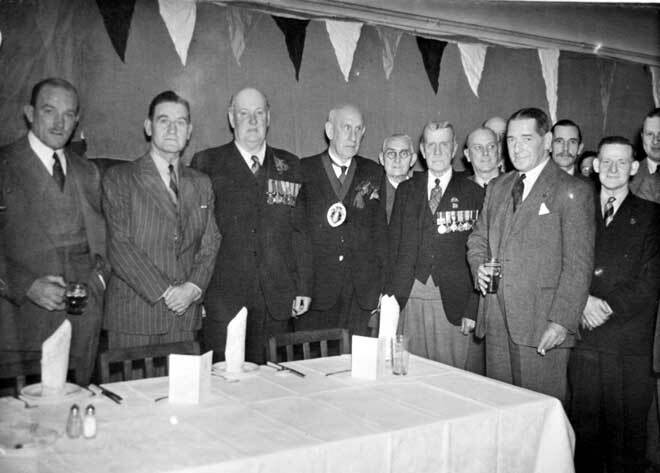 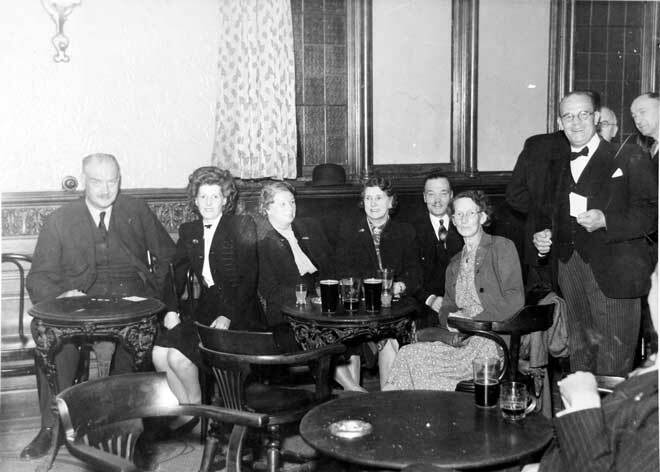 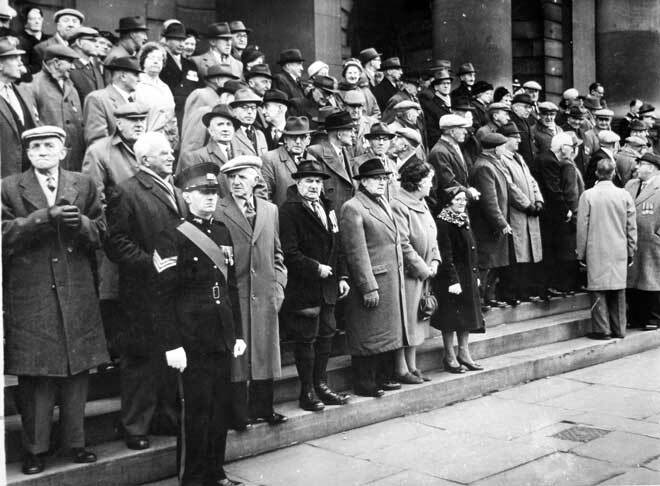 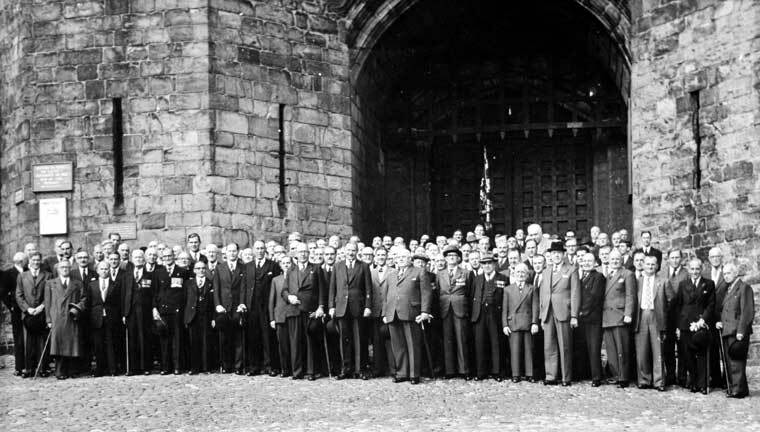 King's Own Royal Regiment, Old Comrades Association, Preston Branch, 1949. 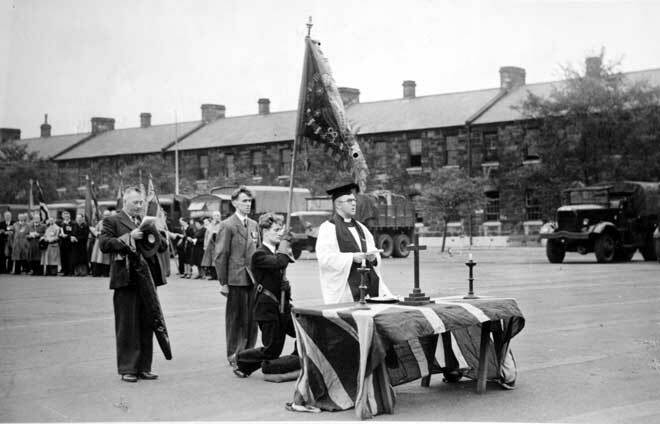 Believed to be on parade at Lancaster. 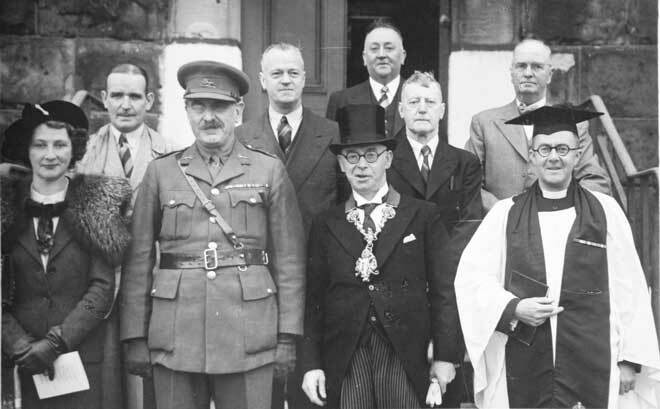 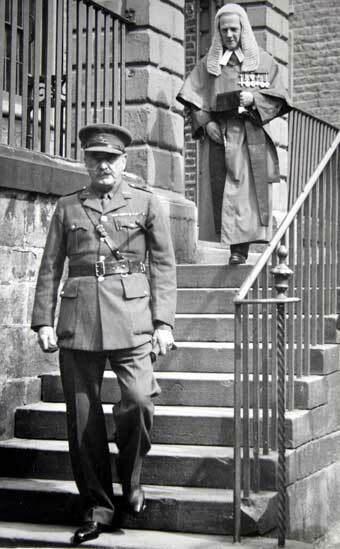 Colonel Hugh Kennedy TD JP DL High Sheriff of Lancashire, and The Honourable Sir Fred Ellis Pritchard Knight MBE, Justice of the High Court of Justice, departing the Judges’ Lodgings, Lancaster. 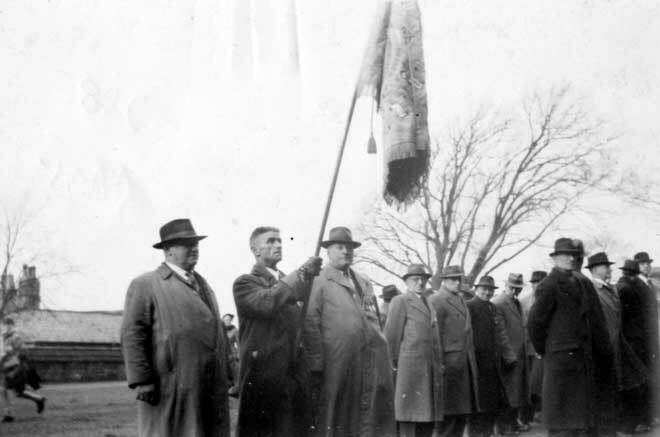 Colonel Kennedy took the salute at the march past after the ceremony of dedication of the standard of the Preston Branch. 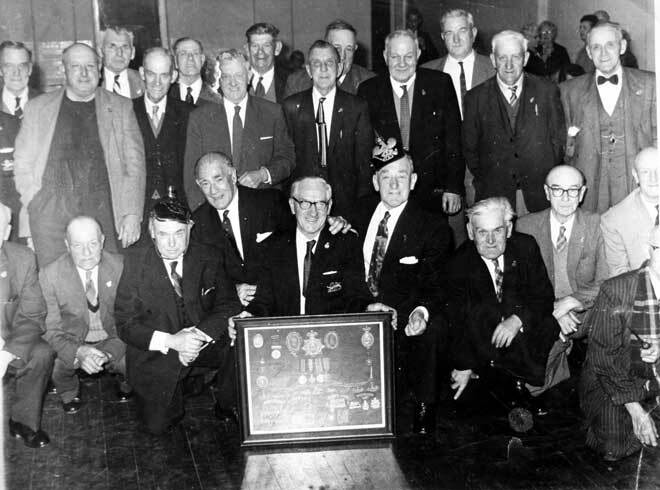 King's Own Royal Regiment Old Comrades Association, circa 1950s. 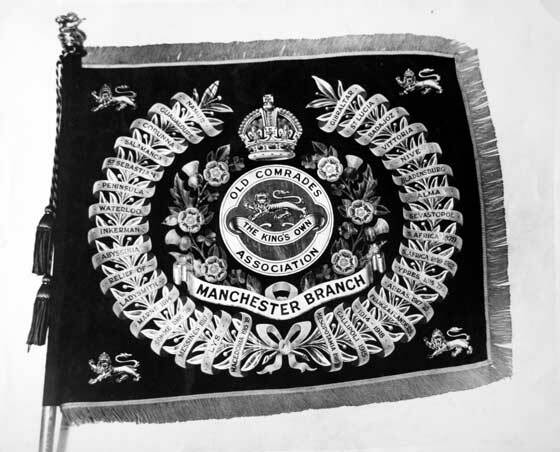 King's Own Royal Regiment. 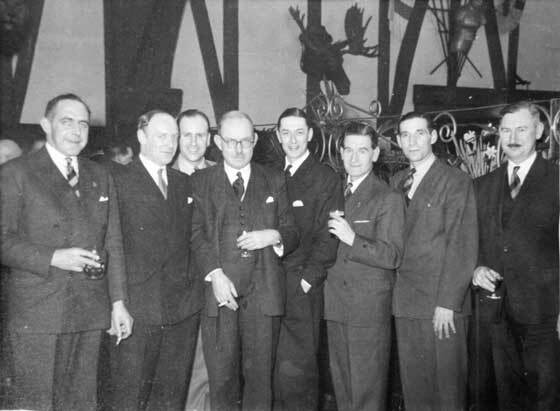 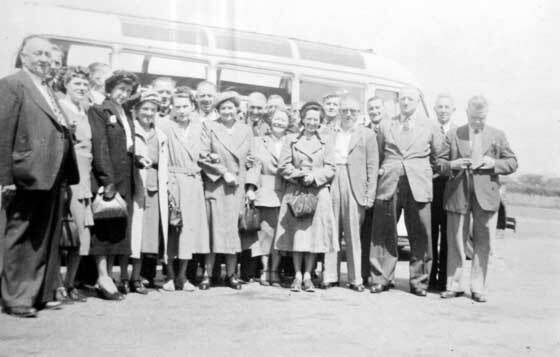 Old Comrades Association Reunion, Alec Campbell stood at the left. 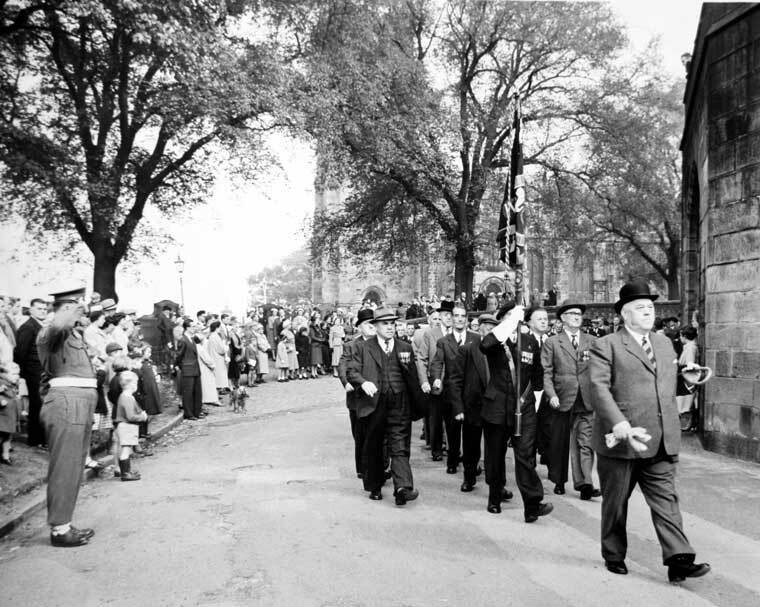 King's Own Royal Regiment, Old Comrades Association, Lancaster Parade with Major Freddie Parker leading the way. 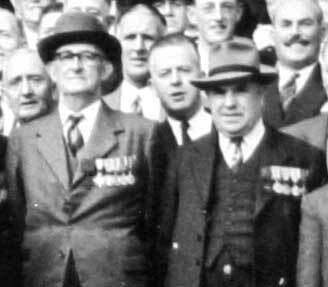 Tom Fletcher Mayson VC and Albert Halton VC from the group photograph above. 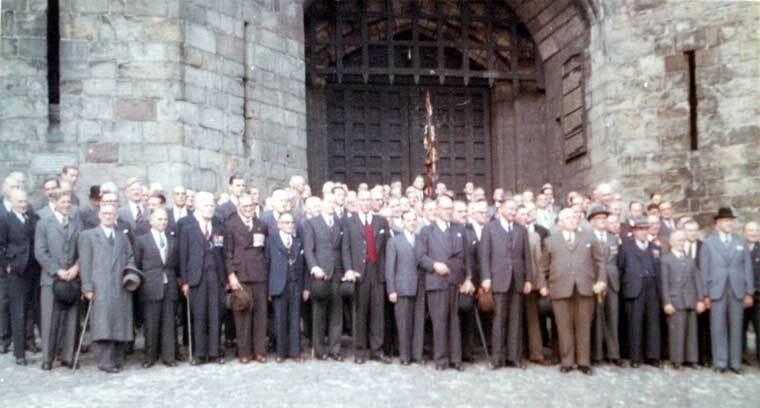 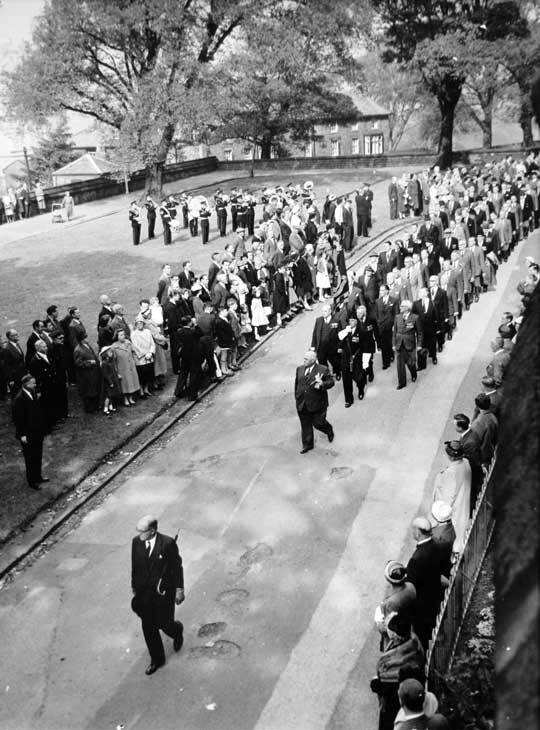 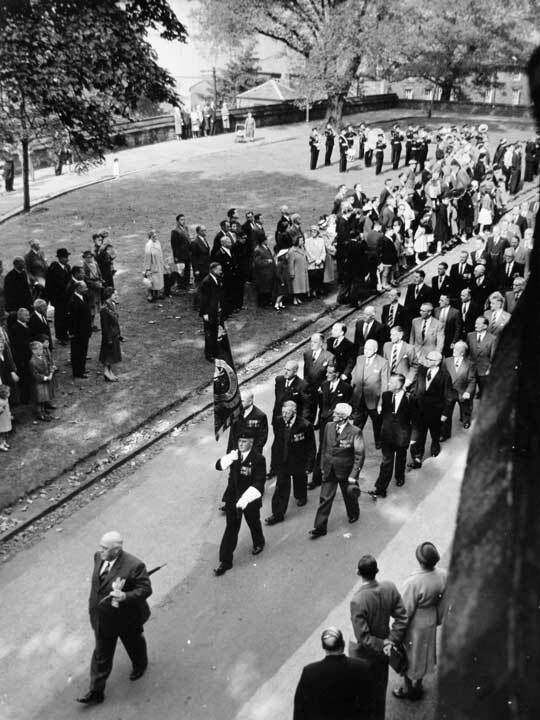 King's Own Royal Regiment, Old Comrades Association, Farewell to the King's Own Royal Regiment Parade, Lancaster Castle, 1959. 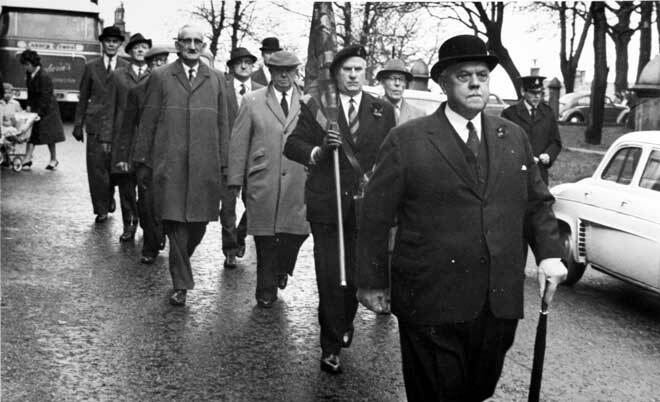 Major Freddie Parker leading the parade, followed by the Branch Standard, with Albert Halton VC to the left and Tom Fletcher Mayson VC to the right. 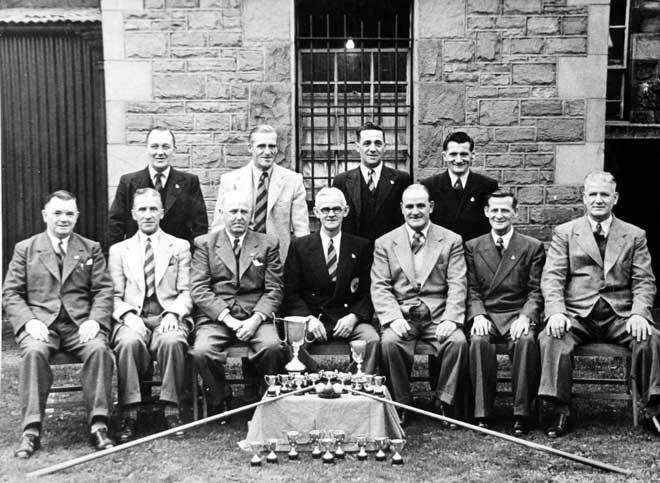 King's Own Royal Regiment, Old Comrades Association, Lancaster Branch, Billiard Team, 1950s. 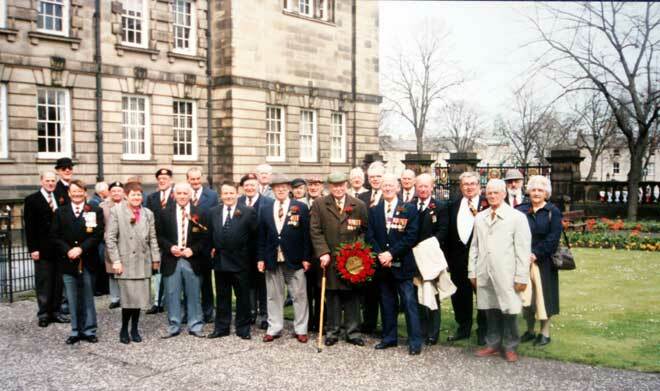 King's Own Royal Border Regiment, Regimental Association, Lancaster Branch, Laying of Wreath, St. George’s Day late 1980s.